The division was created for the first Legislative Assembly election in 1974. It was named after the suburb of Nightcliff on which the division is based. Nightcliff derives its name from ‘Night Cliff’ which appears in that form on Goyder’s original plan for Port Darwin in 1869. 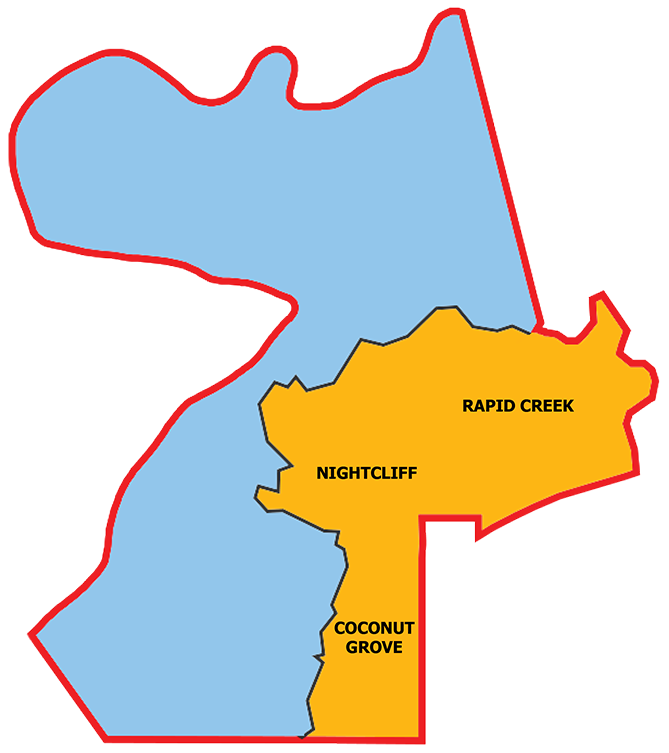 This division is situated in the northern part of Darwin and includes the suburbs of Nightcliff, Rapid Creek and part of Coconut Grove.